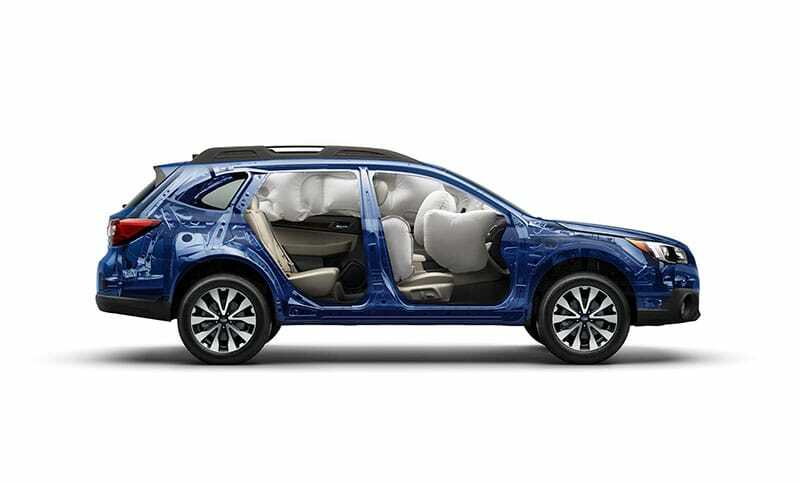 To help keep occupants safe, we included eight standard airbags, including a driver’s and front passenger's seat cushion airbags for extra protection in the event of a crash13. However, should the unexpected happen, you can also count on the exceptionally strong ring-shaped reinforcement frame to help protect everyone inside. 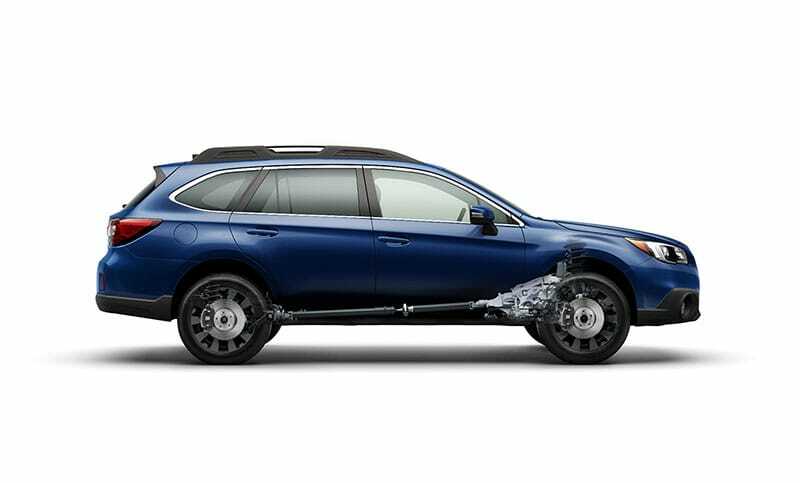 Subaru Symmetrical All-Wheel Drive helps keep things stable in emergency maneuvers, while VDC electronic stability control can detect loss of control and intervene to help keep you on your intended path. New for 2017, Reverse Automatic Braking20,21 can detect objects directly behind your vehicle when backing up at a low speed and can help bring the Outback to a stop should an object be detected within its range and the driver fail to act. You can also count on powerful disc brakes with advanced Brake Assist to help ensure maximum pressure is applied when you need it. 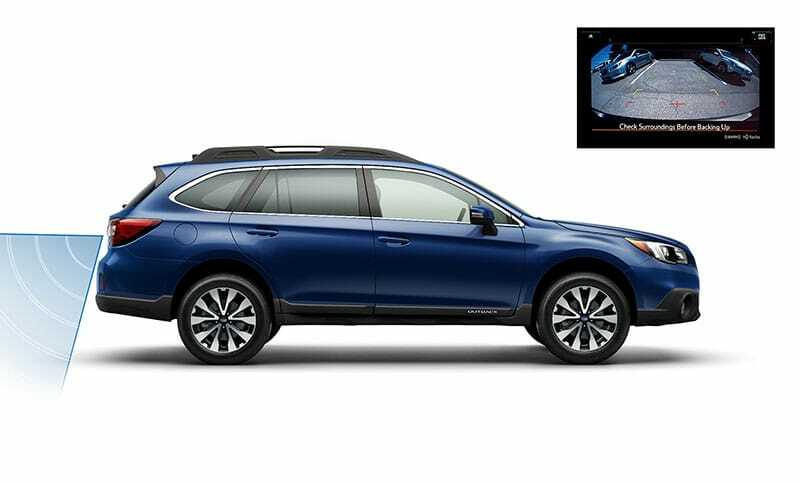 Using radar sensors, Blind-Spot Detection warns you with a visual indicator in each side mirror if a vehicle is sensed in your blind spots14. Lane Change Assist alerts you with a flashing indicator in each side mirror if it senses a vehicle approaching in a neighboring lane while you signal for a lane change14. Rear Cross Traffic Alert uses radar sensors to help warn you of traffic approaching from the side as you are backing up, utilizing an audible warning and flashing visual indicators in your side mirrors and Rear-Vision Camera display14.